and wherever light shined, dark stopped being dark." 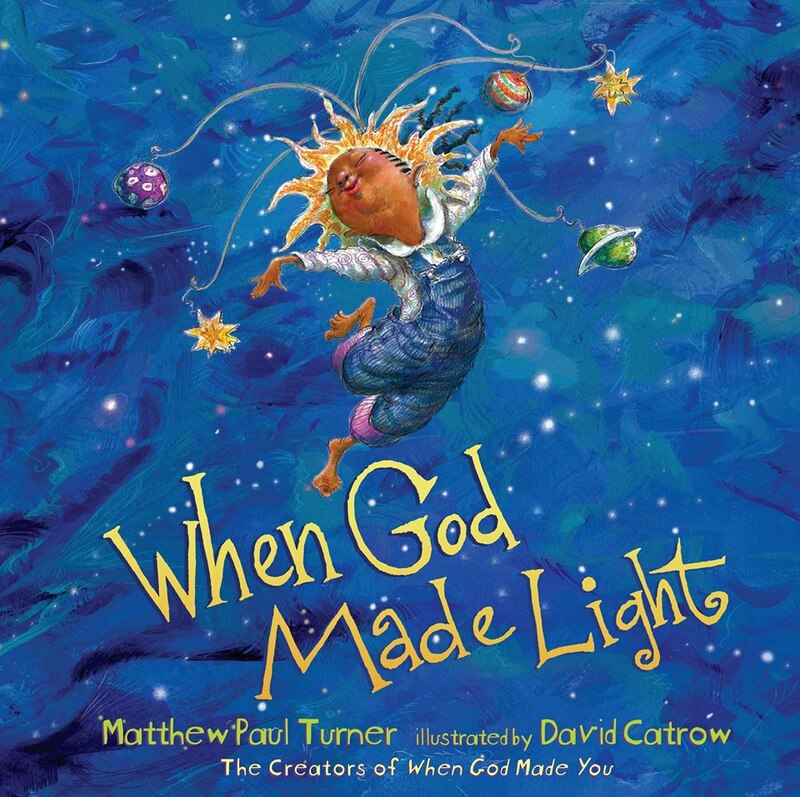 My spirit is indescribably lighter after reading When God Made Light by Matthew Paul Turner (affiliate). The brilliant images and colors of the illustrations by David Catrow masterfully reflect the beauty of each poetic word written. Reading this whimsical story with my son, we were embraced by a peaceful calm filled with the inspirational power of light. 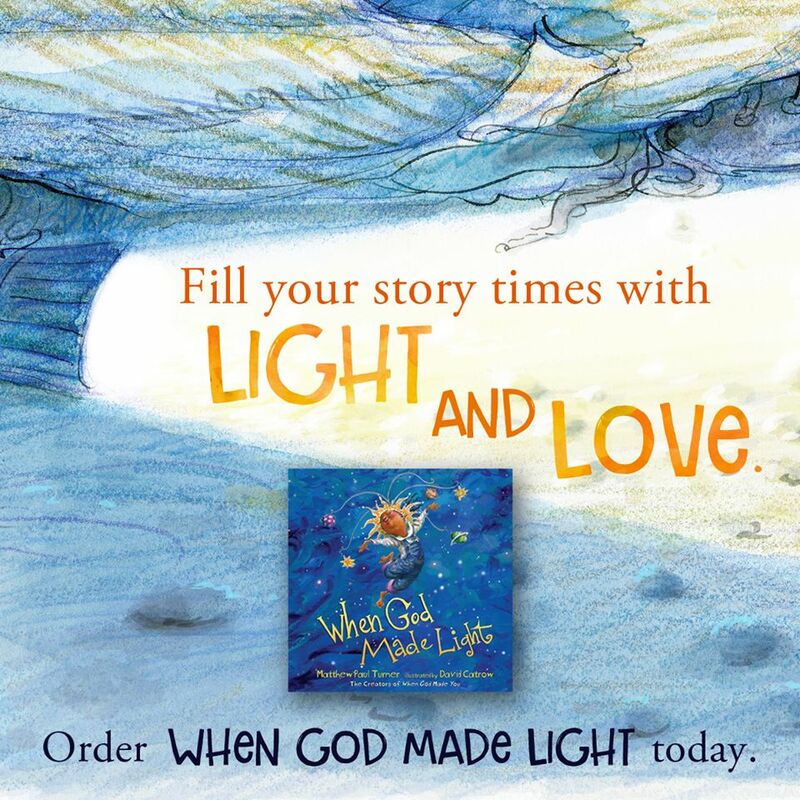 Truly a delightful read for little learners and adults to enjoy the spiritual power when loving lessons are learned in the light. Thank you to Matthew Paul Turner and his promotional launch team for When God Made Light for the courtesy of providing an Advanced Reader Copy as a Launch Team member for editorial content purposes. This content may feature affiliate links. 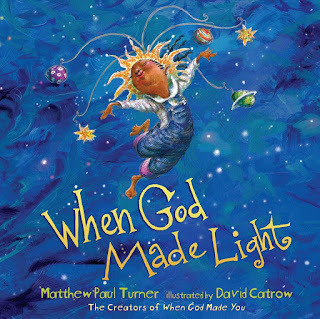 Following the success of talented author, Matthew Paul Turner and illustrator, David Catrow's bestselling children's book, When God Made You, debuts When God Made Light, a brilliant and lively lesson about God's divine light. Written with rhythmic verse combined with jubilant illustrations, When God Made Light radiantly illuminates the magnificence of God's creation of light. Showing the wonder in all the ways that light, The Light, shines and touches our lives, this must-read story is lovingly inspired. 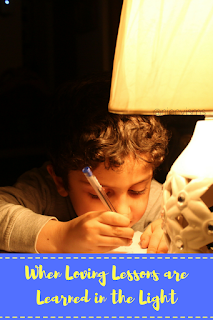 Discovering When God Made You to be one of the most charming children's books we have read was only challenged by reading When God Made Light. My heart truly was enlightened by the spiritual message and stunning images as my son and I cuddled together for a bedtime story. Most impressive to his First Grade sense of humor were the larger-than-life characters with bubbling personalities to rival his own loving spirit.